Do you know what it feels like when something sparks joy within you? 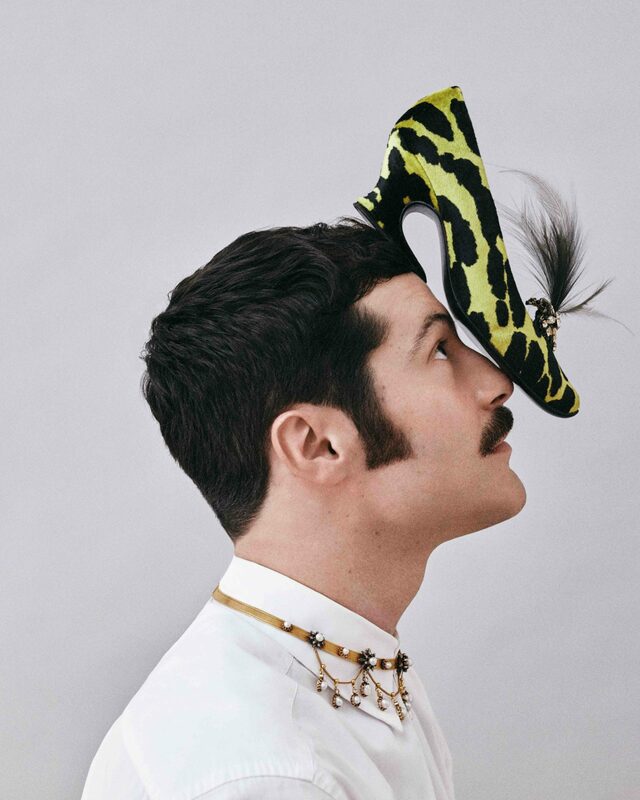 If not, then a good place to hone that feeling would be at Hotel Vivier, the universe imagined by Roger Vivier’s newest creative director, Gherardo Felloni. 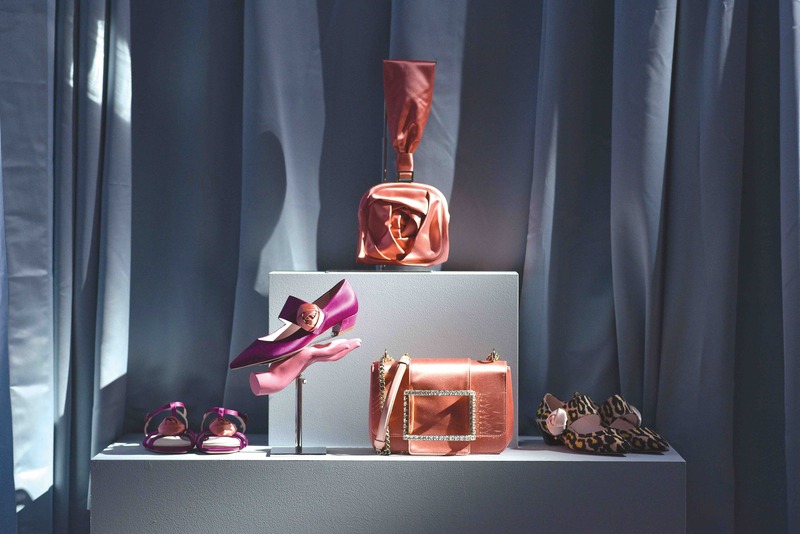 Only the third designer to head the footwear maison that’s created shoes for the likes of Catherine Deneuve, Queen Elizabeth II and Christian Dior, the task would be a daunting one for anybody — but Felloni is approaching his enormous responsibilities with a cheerful, even easy, mien. What brings Felloni to Hong Kong is Hotel Vivier, a fanciful set created to anchor his vision for the house. First introduced in Paris during Fashion Week, his vision was expressed in a private maison just off Jardin du Luxembourg. Set over three opulently appointed storeys, it was a glimpse into a world of whimsy and quirkiness that might become hallmarks of his tenure at Vivier. In Hong Kong, this is confirmed. The concept is brought to China Tang, whose restaurant is divided into four rooms,each with a Chinese twist on an escapist fantasy. 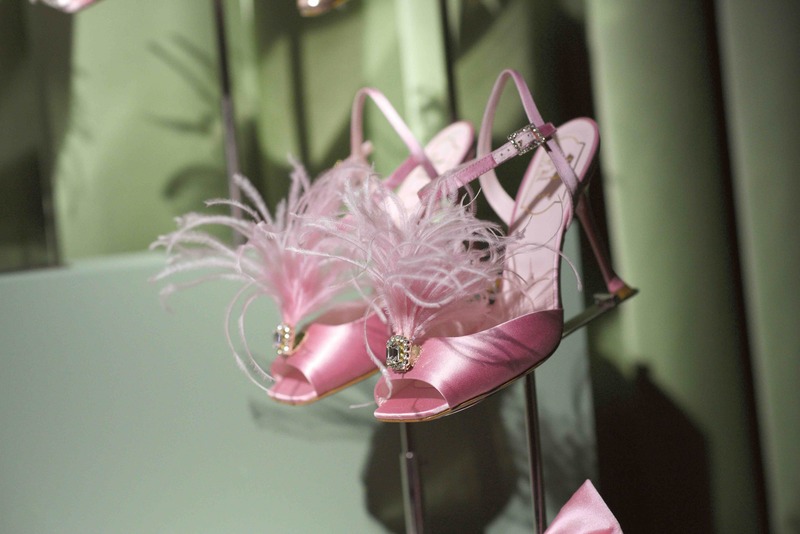 Guests walk past the reception desk, where the shelves that usually hold keys display a Très Vivier shoe in each cubbyhole. A stroll down a corridor reveals rooms occupied by a master calligrapher, two singers of Cantonese opera, a lady in a qipao surrounded by peonies in full bloom, and a brooding Chinese damsel reclining on a bed that looks as though it has been pulled out of Wong Kar-wai’s In the Mood for Love. On set are buckles, feathers, strass — all key tenets of the house of Vivier, but used by Felloni in ways that are just a smidge more decadent than his predecessors. 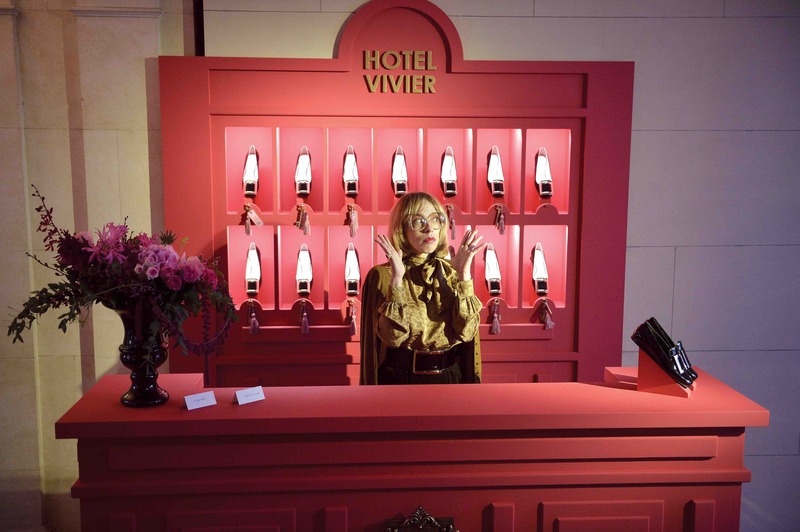 Hotel Vivier’s front desk in Paris. “Hotel Vivier was a format that I invented for Vivier because it was necessary for me not to do something static, something boring,” Felloni explains. “I worked 10, almost 20 years in brands that made ready-to-wear, where they did shows, created campaigns – I was always involved in a process that cannot go on if you don’t have a silhouette. And the shoes would complete that silhouette. The hotel is an appropriate modern update to Roger Vivier’s more bourgeois beginnings, particularly after Catherine Deneuve wore the buckled shoesin the classic 1967 Buñuel film Belle de Jour. Felloni seized on this and invited Deneuve toparticipate in a mini film he created called Duo des Chats. Très Vivier Bag Strass Buckle, Rose Bracelet Soft Clutch and Rose Button Mary Jane Pump from Rover Vivier’s Spring/Summer 2019 collection. The star presides over a mini concert given by her two ‘daughters’ while Felloni is the maestro who plays piano for the guests. The atmosphere is plutocratic and lush. Deneuve watches with a Vivier box on her lap and the daughters descend into a catfight on stage only for it to be revealed their bickering was over the fact that Deneuve had not yet pulled out a second box so that each girl could have her own pair of Très Vivier, an updated take on the house’s iconic buckle pumps.